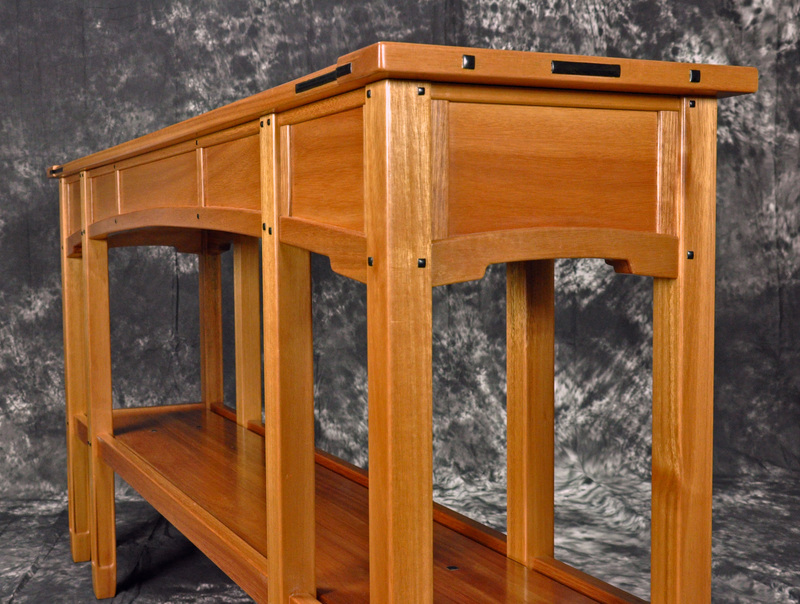 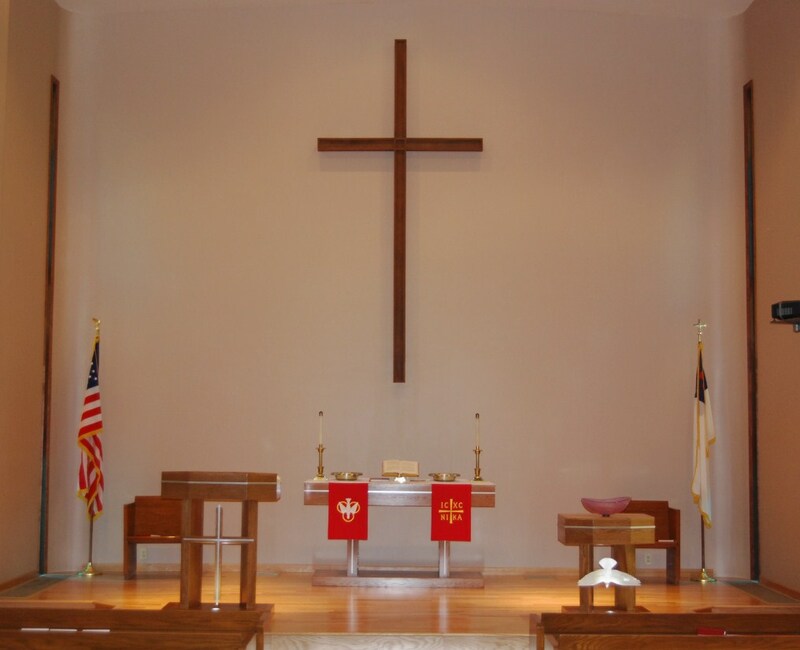 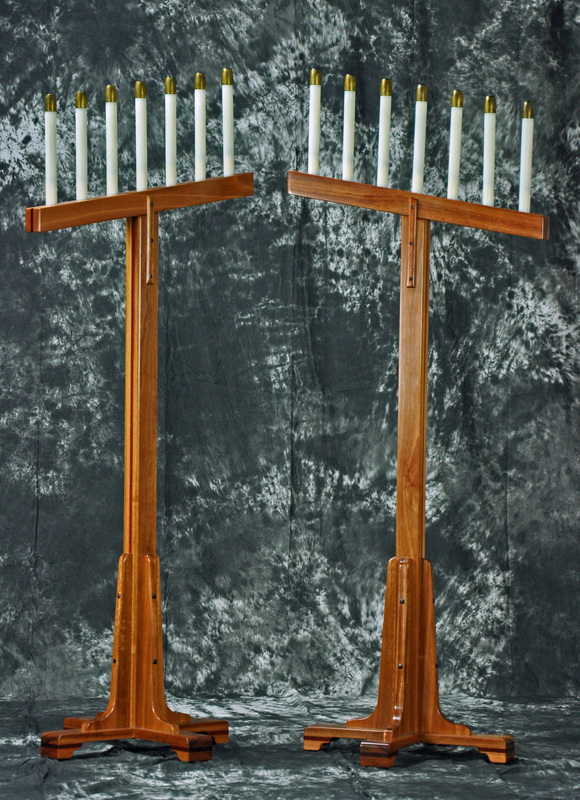 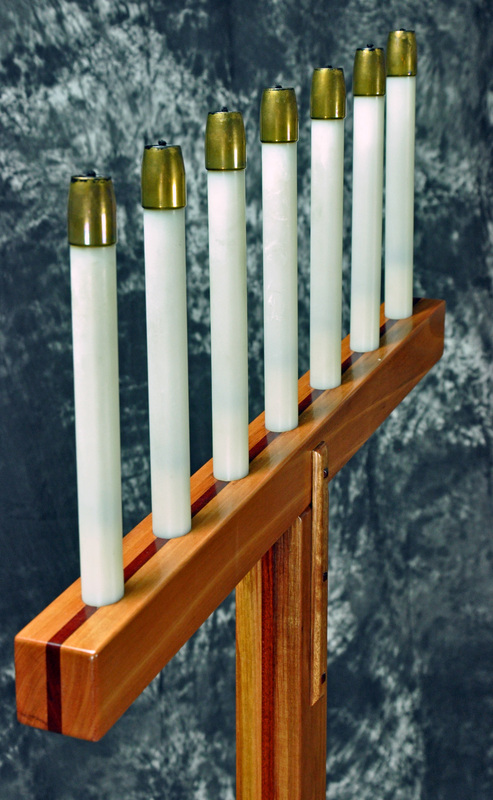 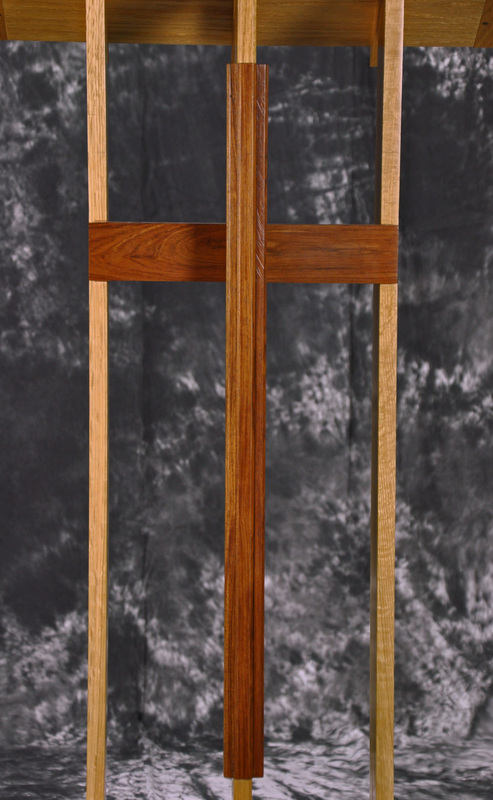 I’ve been honored to work on two commissions for churches in the Pacific Northwest. 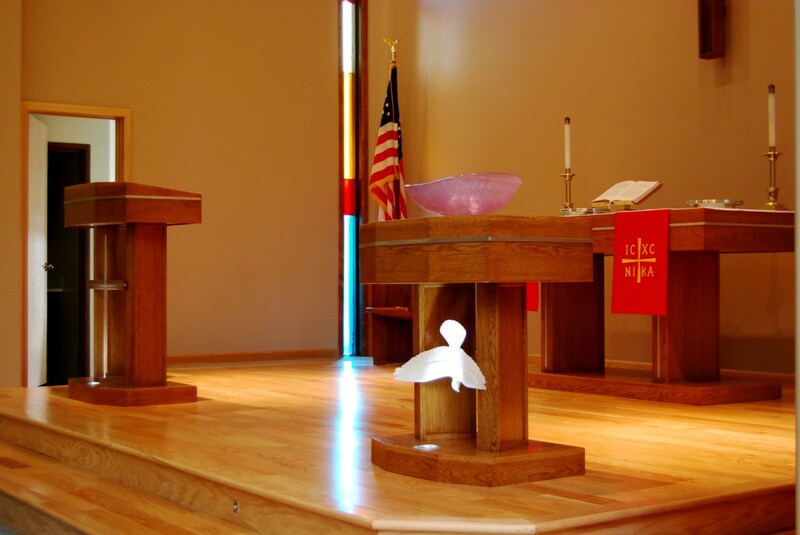 On the left is Messiah Lutheran in Nampa, ID. 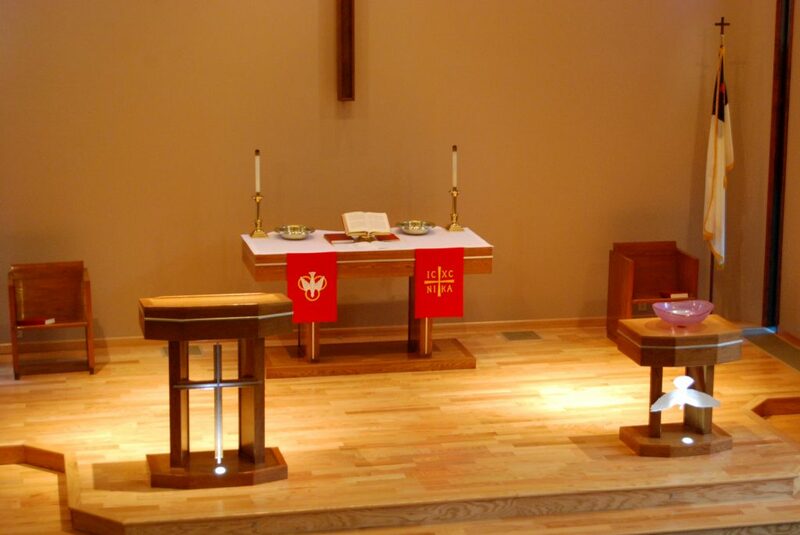 On the right is St. Matthews in Spokane, WA. 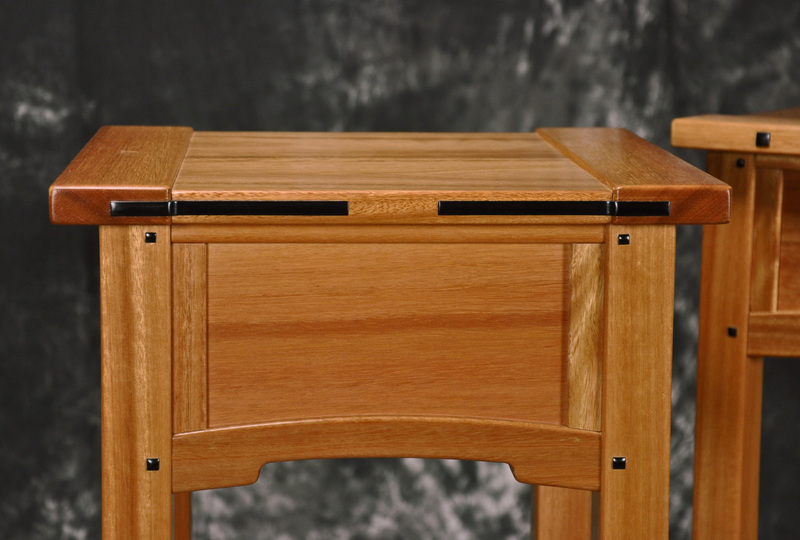 Messiah – This entire suite is crafted in Lyptus with both rosewood and ebony accents. 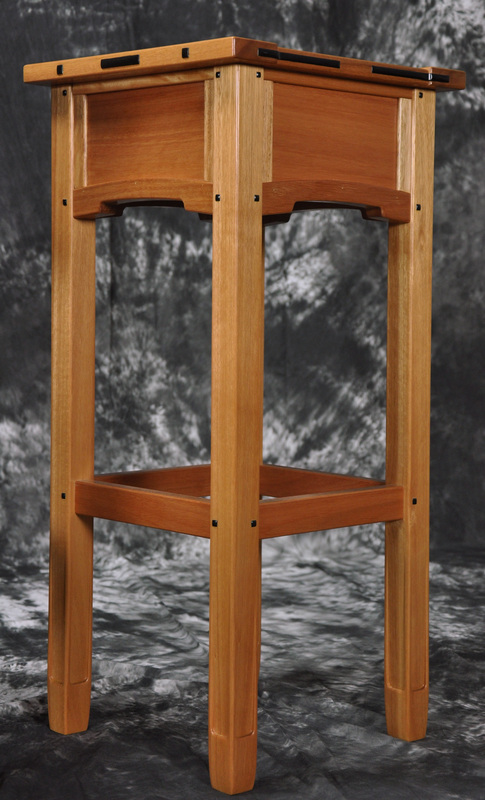 It is based on an Arts & Crafts style popularized by Charles and Henry Greene in the Pasadena CA area in the early 1900’s. 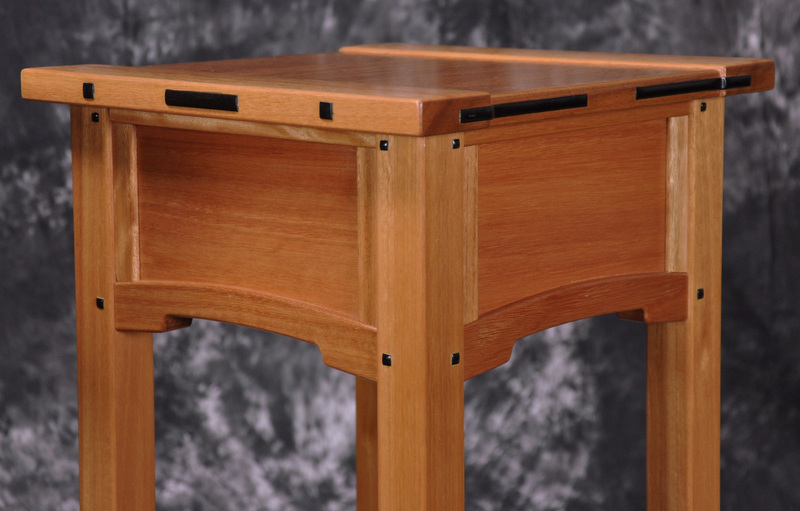 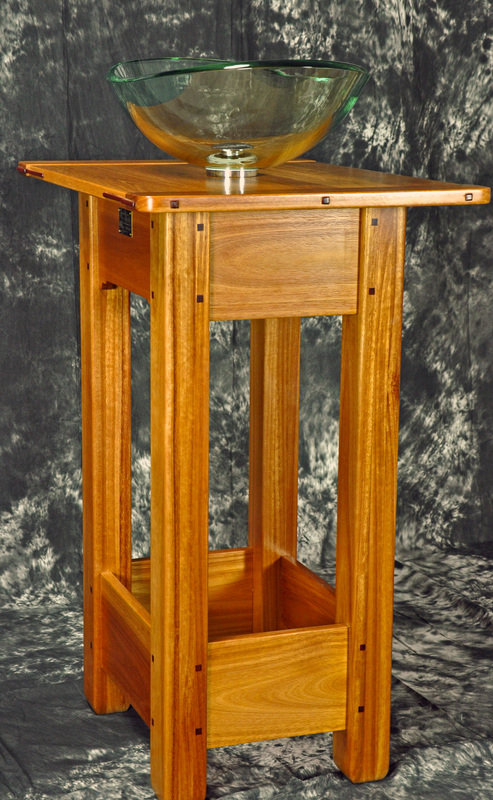 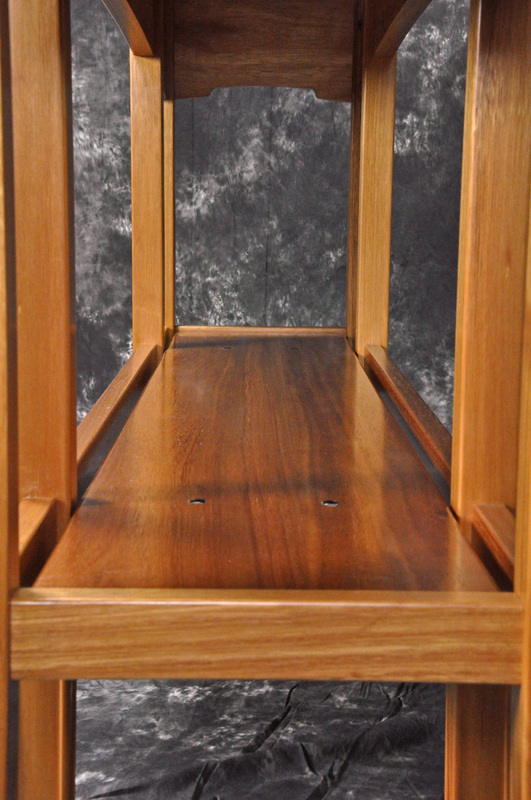 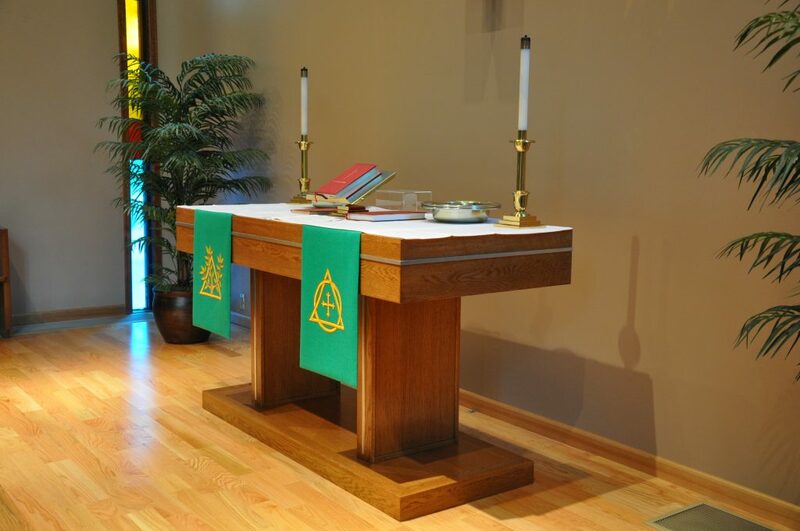 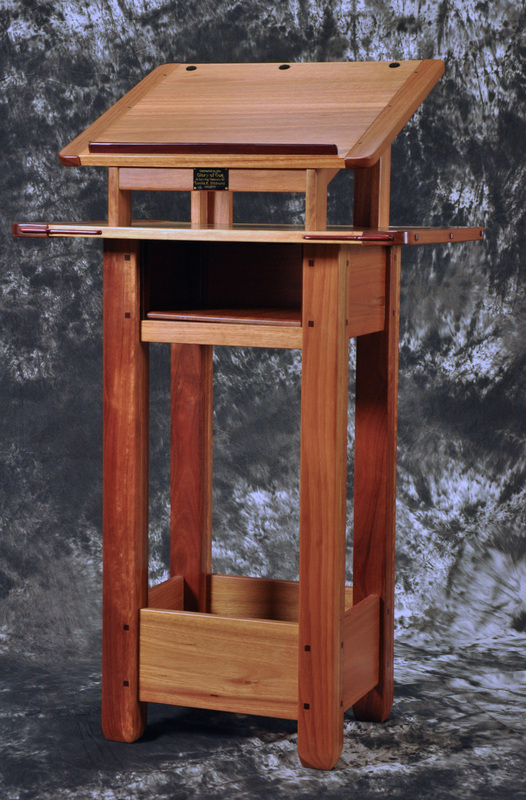 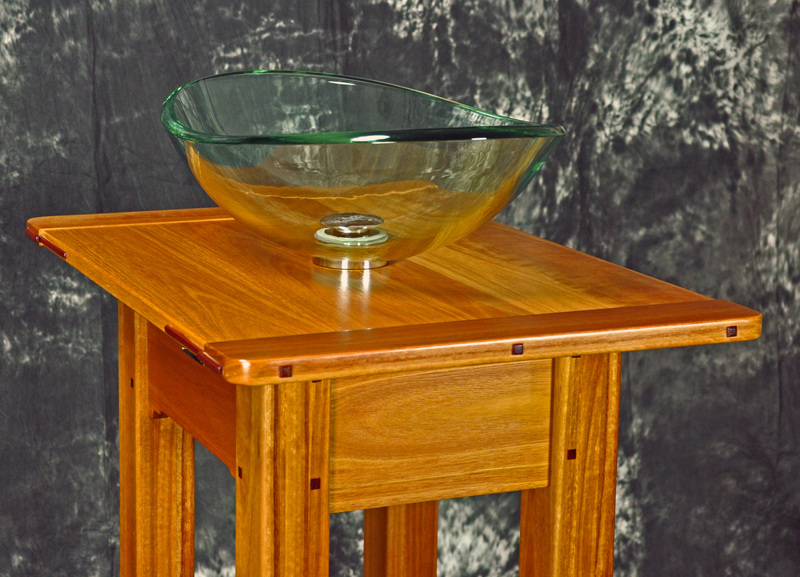 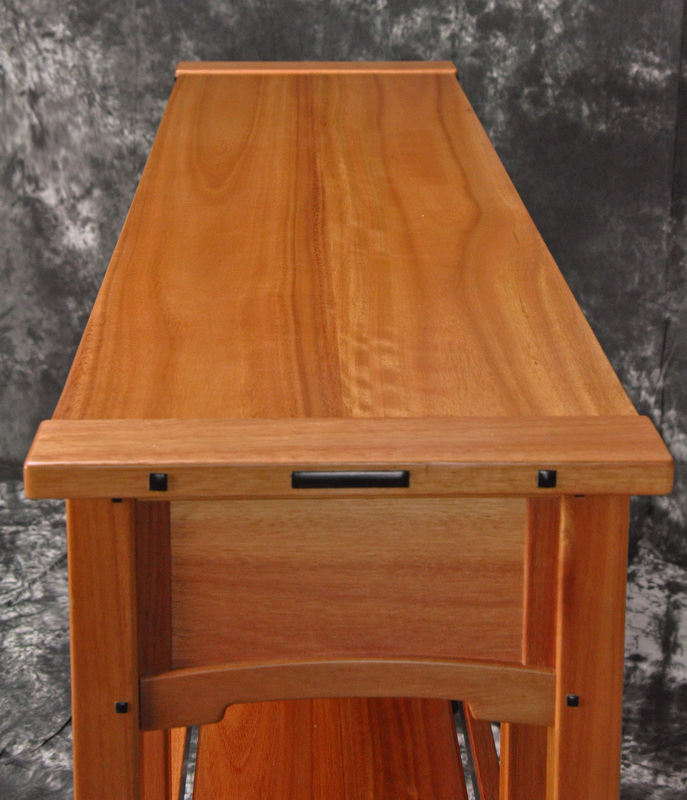 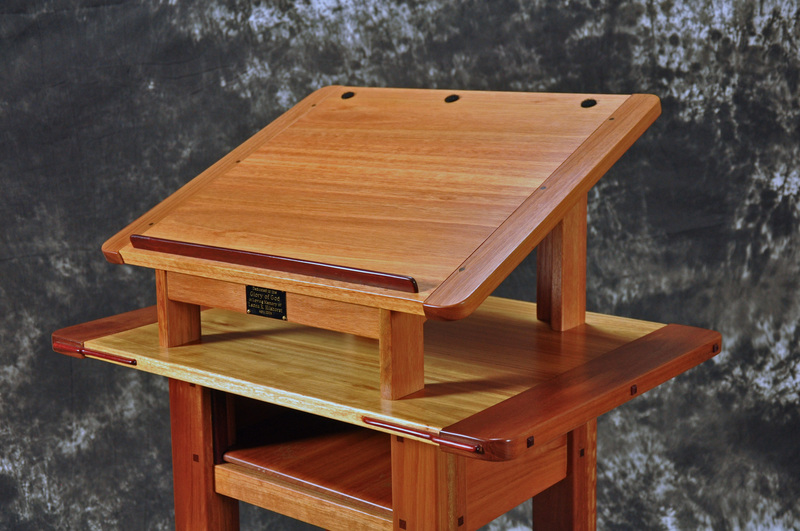 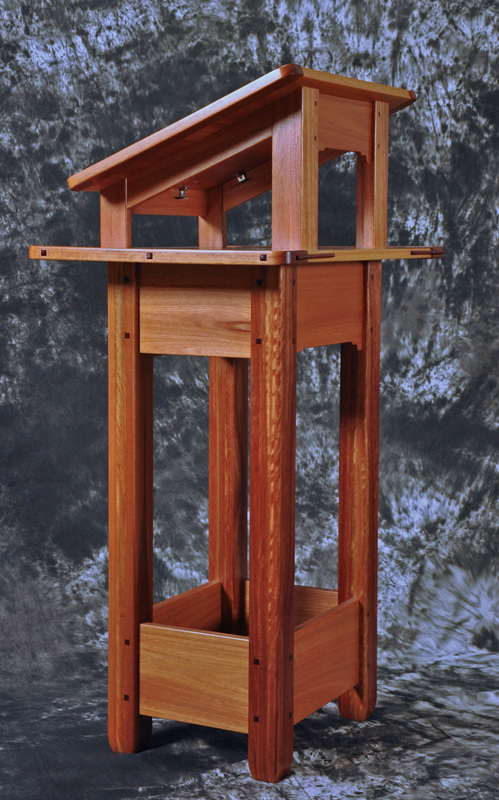 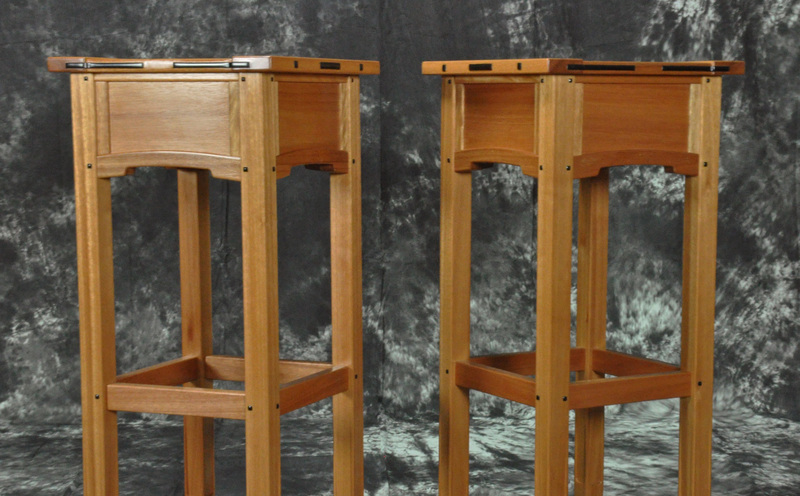 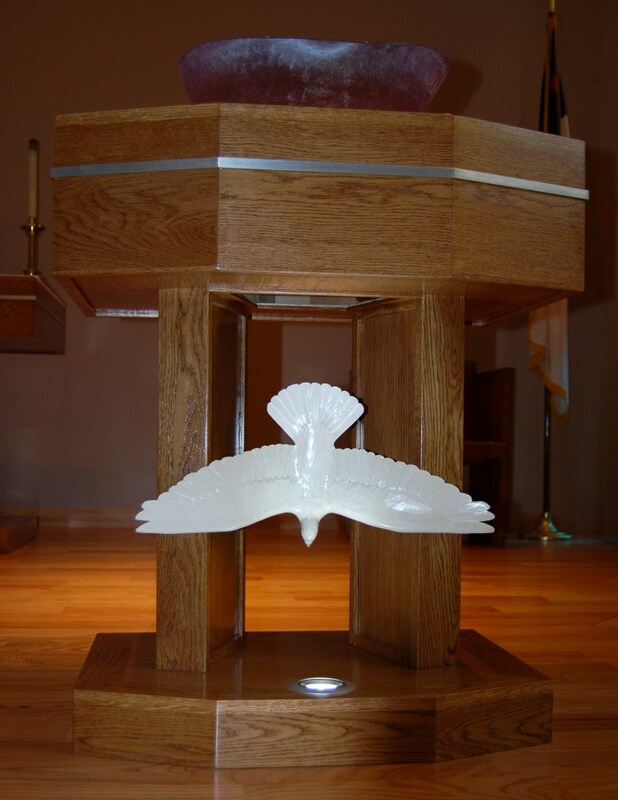 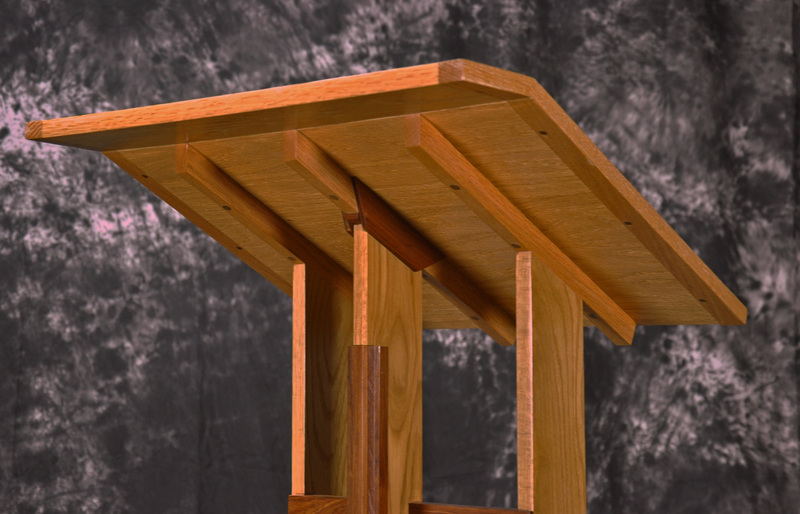 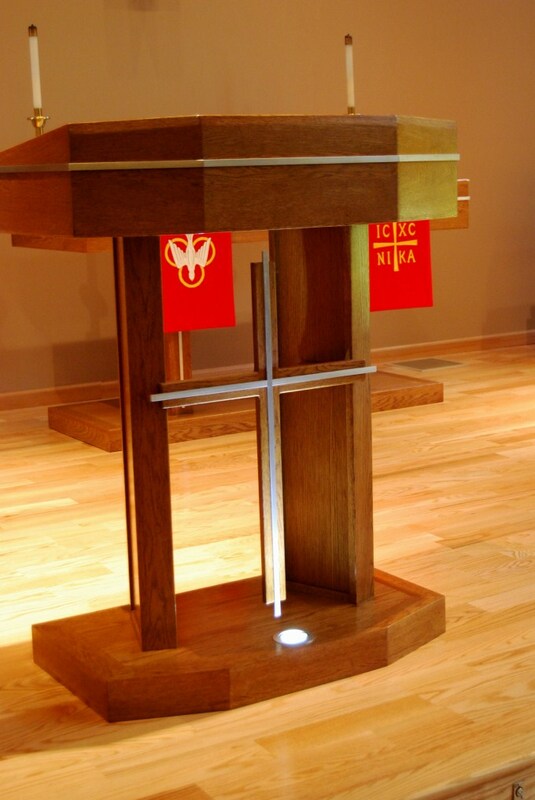 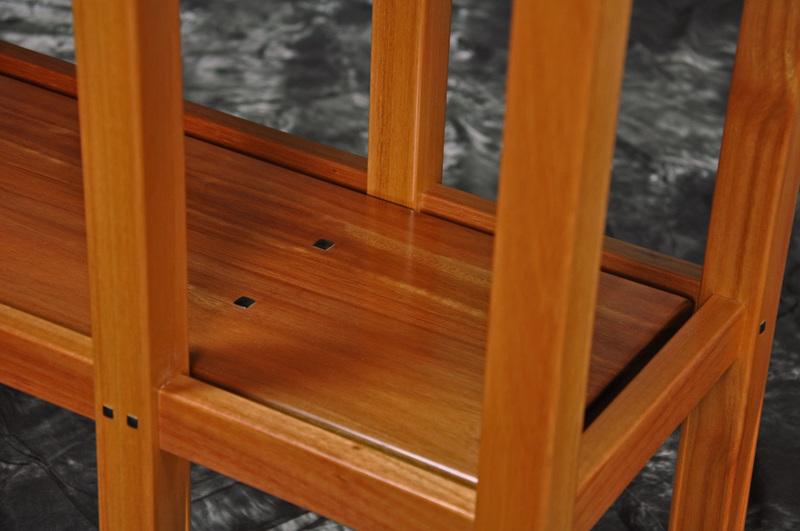 The lectern, at the bottom of the gallery, is crafted in rosewood and white oak. 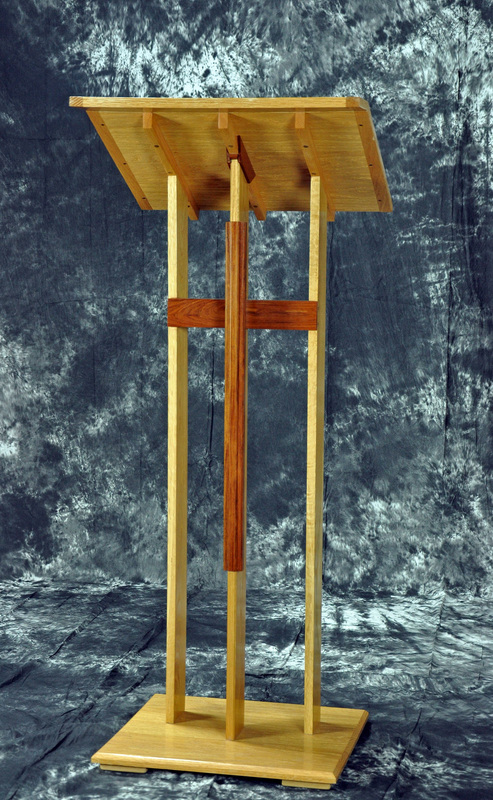 St. Matthews – Crafted in oak plywood with aluminum accents. 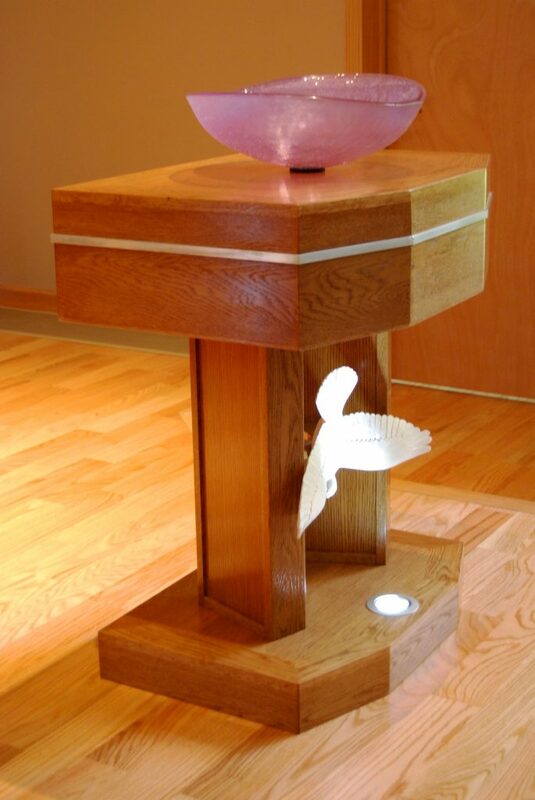 The pulpit and font have LED lighting installed in the base to highlight the cross and dove respectively. 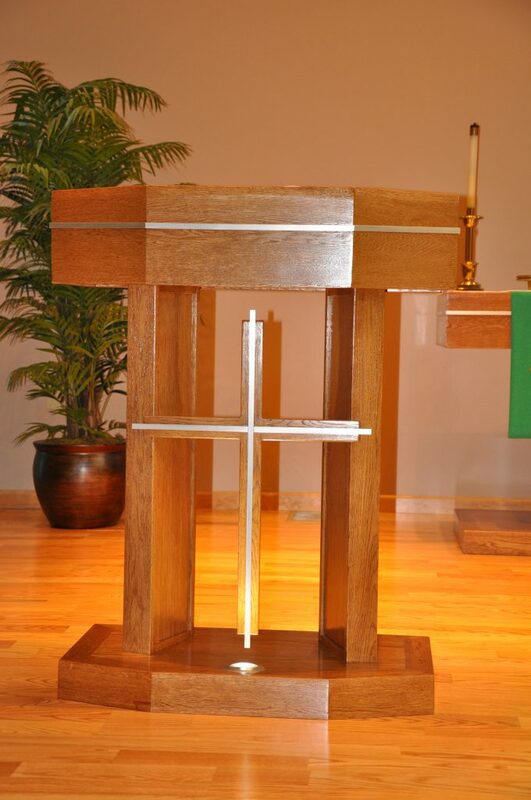 The LED lights are controlled remotely. 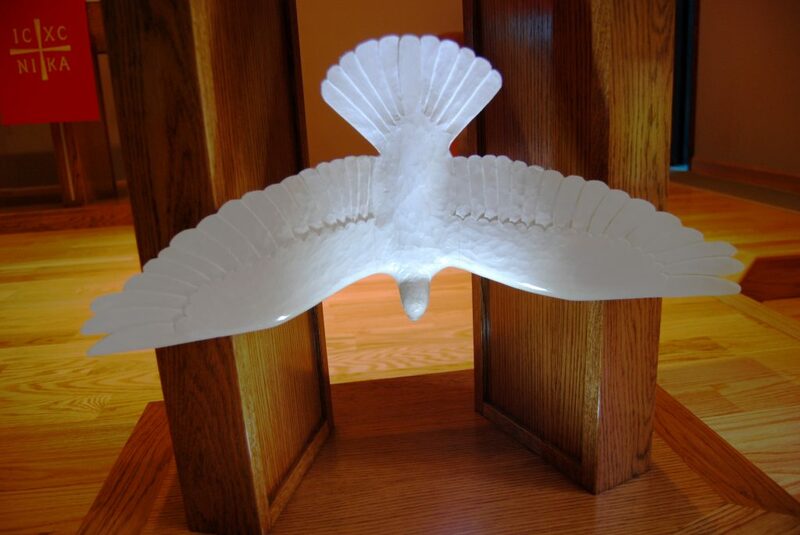 The dove was hand carved by an accomplished artist friend living in Barcelona, Spain.